Sit back and fly the Alaska skies to Cordova With Alaska Airlines or Ravn…Learn more. Take a relaxing ferry ride while you enjoy the sights of beautiful Prince William Sound on the Alaska Marine Highway…Learn more. 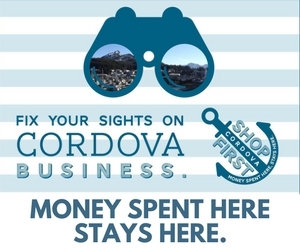 Relax and unwind at one of many unique places to stay around Cordova. Visit our Business Directory to see our lodging options…Learn more.